When I got interested in the UX topic, I immediately dived into books, websites and blogs devoted to this and related subjects. Here I want to start with the very first books that opened me an exciting (but sometimes sad) world of the UX and usability. 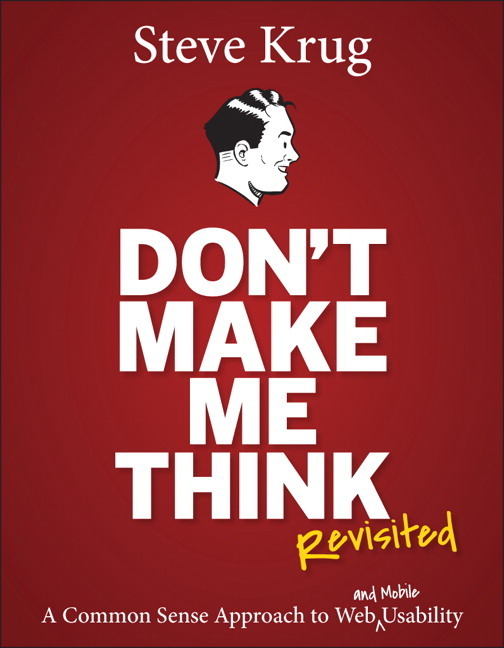 I started from the very famous “Don’t make me think” by Steve Krug, and since then I fell in love with the way he writes his books. They are full of humour, but also give a lot of useful advices. 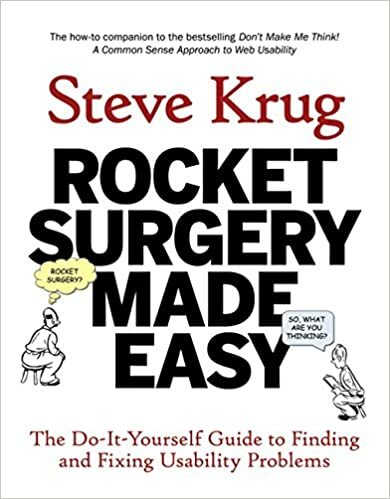 I returned to his books several times, but I want to especially attract you attention to the “Rocket Surgery Made Easy”, because this book is very valuable for people who actually are not specialists in the usability and user experience field (and perhaps do not plan to become), but who feel that this might be helpful for their projects. So – pay attention to this book! It is small, it explains you what you need to do to improve your website/application/etc in simple steps, and moreover this book does not use any difficult terminology or methodology. 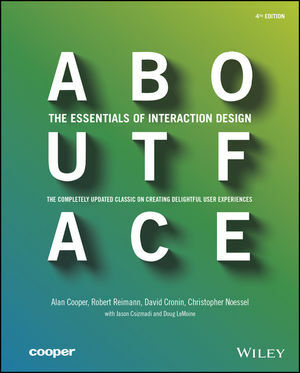 “About Face” seemed to me more as an encyclopedia rather than a book that you would be reading during your train commute. First of all, it is huge and heavy. Second, it addresses so many topics within the field of interaction design, that it is better to keep it on the table and read step-by-step. One of the authors is famous Alan Cooper, and I recommend you to read about him as well. 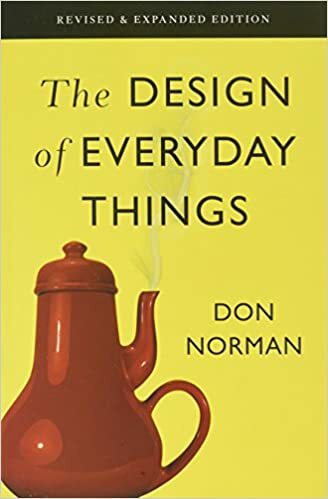 The book that I want to put a huge emphasis on is incredibly famous “The Design of Everyday Things” by Don Norman. The author became a legend, he also wrote multiple other books as well as became one of the founders of Nielsen Norman Group. “The Design of Everyday Things” is simply a must. It was updated several times since its first edition in 1988, but it is still incredibly valuable for designers (and engineers, and all interested people). The author brings a very deep and thorough insight into how people perceive things, how they use things, how their memory works – and it is not only about user interfaces in the application, it is also about such everyday things as a fridge or a water tap. Since I read this book I started looking even at the things in my apartment from completely different perspective.